Sustainable Food Center invites you to join us in our space and help create social impact for our community! 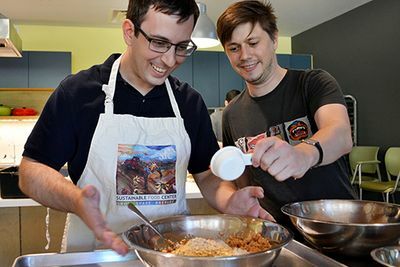 We offer private cooking classes in our fully-equipped commercial kitchen, meeting space in our adjoining community room and corporate retreat opportunities for organizations that are interested in providing a worthwhile experience for participants while giving back. All proceeds from these offerings support our programs and efforts to improve access to nutritious, affordable food for low-income residents. Whether you are coordinating plans for an event or just an extra special night with friends and family, check out our space! 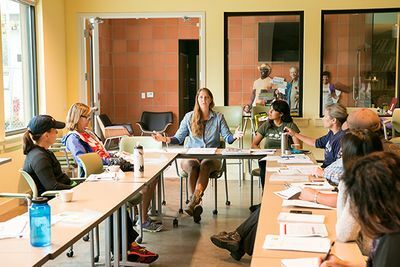 Inside our solar-powered, 4-star rated green energy building you’ll find a fully functional commercial kitchen and an open-concept community room that are perfect for meetings, self-catered events, and celebrations. 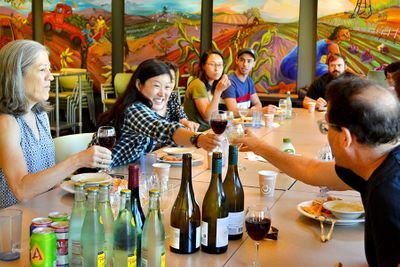 We are proud to offer private cooking class and meeting space packages for local businesses that are interested in hosting a retreat in our space while also providing a worthwhile local food experience for their employees and clients - all while giving back.